On Filla Chip & Omni Cubed! Electric and air hand tools sold separately. Meet the Manufacturer ROD YORK in booth 4286! The CLAMPS You NEED To Get The Job DONE! BLOWOUT SET OF THE MONTH! On All Orders Placed Between April 9th-26th 2019! World’s Largest Selection of Suction Cups in The Industry! Vacuum Top Surface Area: 34 sq. in. Base Surface Area: 64 sq. in. Vacuum Top Surface Area: ~45 sq. in. Base Surface Area: 87 sq. in. Top Surface Area: sq. in. Base Surface Area: 99 sq. in. Top Surface Area: 50 sq. in. Base Surface Area: 99 sq. in. PROMOTIONAL PRICING Valid April 8th - May 10th Unless otherwise stated. 2019 Course Dates: May 14-15 ~ Sept. 24-25 ~ December 3-4 Students will be involved in all aspects of natural and quartz countertop fabrication, starting with a full slab and installing a complete kitchen countertop. Intensive hands on training is the way you learn, while our instructors show you how to do it right. Have you ever had to remake countertops because of a surface issue? Learn how to repair surface imperfections on both quartz and natural stone countertops. This 2-Day Repair Course will pay for itself and tooling after the first repair! Learn about the revolutionary system for restoring and repairing Quartz surface. 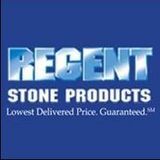 Tools for Granite, Marble, Quartz Stone, Tile, Stone Restoration & Concrete Polishing.